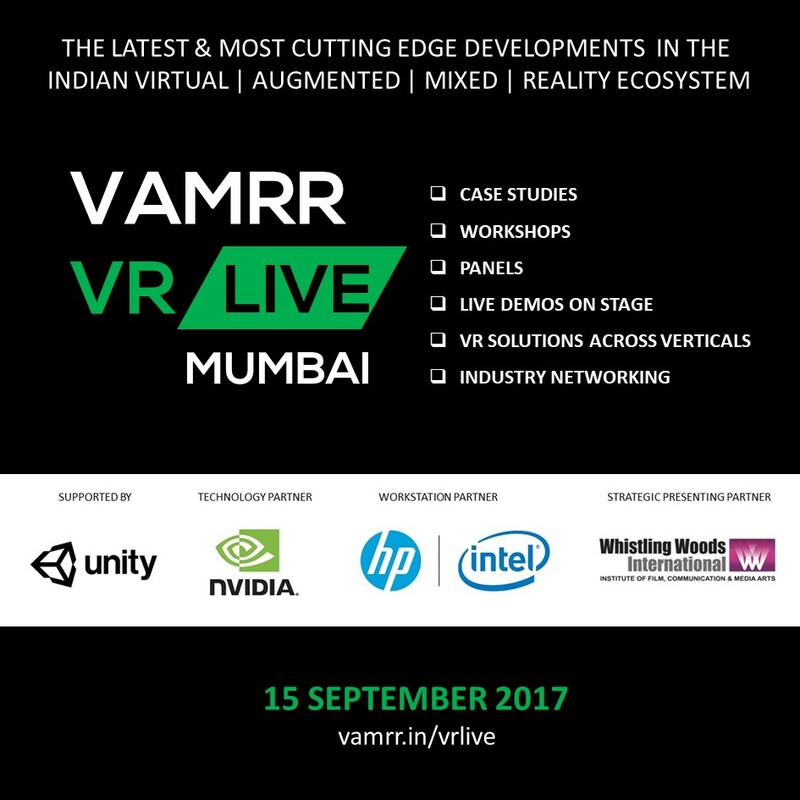 vamrr VR Live | Conference & Expo dedicated to the latest, cutting edge developments in the Indian Virtual Augmented & Mixed Reality ecosystem. Featuring case studies, panel discussions and workshops | Showcasing VR AR & MR demos by various companies | Highlighting solutions across different Industry verticals and consumer VR. vamrr VR Live is the 24th conference on Virtual Reality by vamrr in the past 11 months, across 8 cities in India and Internationally. Please fill the form below to register for the conference. Registration is free.